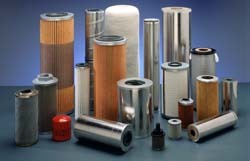 Over 60 standard cartridge sizes and 21 filter papers inventoried for flexible design options to satisfy your specific filtration requirement. An expanded list of brands crossed is also available. Packed fiber or stacked disc designs.